An almost endless collection of construction options and ease of installation define our locker systems, while exciting colors and elegant finishes add allure. 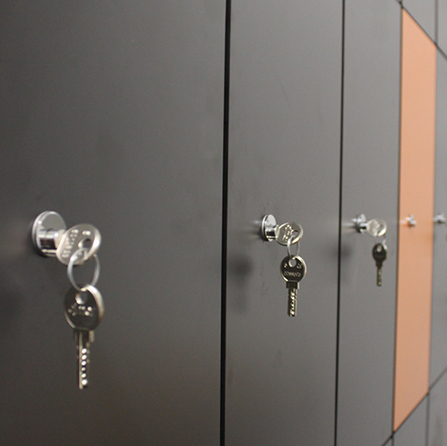 Lockers can be built in any configuration matrix with multiple base options, tiers and styles to choose from. 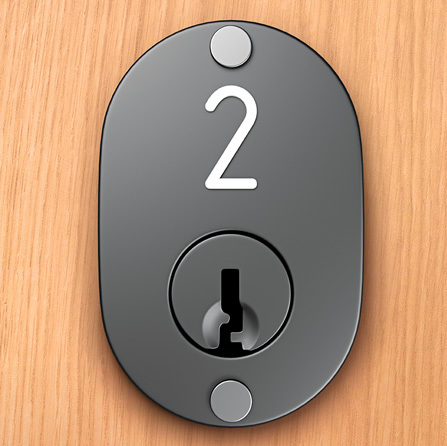 Door features include concealed, self-closing hinges and cushioned bumpers to ensure smooth and long-lived operation while multiple lock options offer end users more choices. 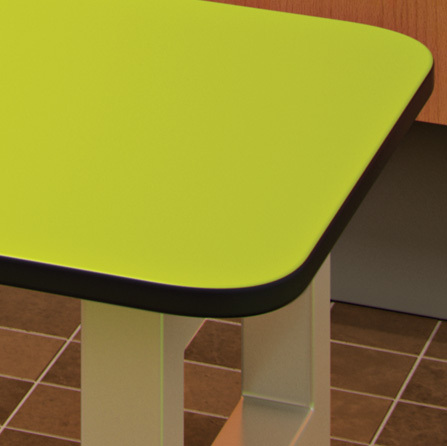 Our benches are a great complement to any locker room when both aesthetics and functionality are needed. All benches are available with or without clothes hooks and shoe and hat shelves, and have the optional ability to be hung against a wall. A unique metal frame allows our lockers to be shipped unassembled and put together on site with ease. 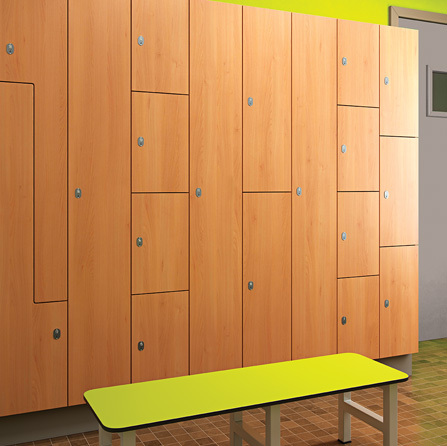 Our Lockers & Benches are constructed of 13 mm thick High Pressure Laminate Compact (HPL), which is anti-microbial, non-porous, water resistant, impact and scratch resistant and available in a range of standard and custom colors. Watch an animated video that demonstrates the simple step-by-step process of assembling our lockers.